For those who wish to attract hummingbirds to their yard or garden, there are a variety of different trees, shrubs, vines, and both annual and perennial flowers that can be planted to encourage these tiny winged visitors. Selecting the right types of plants that attract hummingbirds and having various varieties that bloom throughout the growing season will work best. Hummingbirds tend to be attracted to plants that are highly visible and that produce the nectar they feed upon. It is also advisable to avoid the use of pesticides on plants that hummingbirds will frequent. The birds eat the small insects on plants as a source of protein, and the pesticides may sicken or even kill these tiny birds. Planting vines that produce colorful flowers is a great way to bring hummingbirds into your yard. These vines look great planted along a fence where they can creep up, or near an archway, trellis, or piece of lattice. They add both color and interest to your yard, enhancing and adding beauty to the landscaping, while at the same time, providing food for hummingbirds. Some good selections to choose for this include Morning Glory, Coral Honeysuckle, Trumpet Creeper, Scarlet Runner Bean, and Cypress Vine. Annual plant varieties to choose for your hummingbird garden include Petunias, Impatiens, Jacobiana, and Salvia. All of these colorful flowers are available in a variety of color choices and make great additions to any flower bed, or can be used as border plants. All of these will work well in containers and when planted in hanging basket arrangements. Fuchsia is another flower that hummingbirds love which requires planting in a hanging basket or container. When using hanging containers with these plants, make sure to place one near a window so that you can see when a hummingbird comes to visit. Firespike is another annual plant that will attract hummingbirds. This plant tends to get bushier and much taller than the above mentioned flowers, and should be planted in beds, wildflower gardens, or along fences or walls. Hummingbirds love the attractive spikes of red or purple flowers on these plants. Perennials are another great choice for attracting hummingbirds to your yard. Once established, these plants will continue to bring color and beauty to your yard year after year. They will also bring hummingbirds and keep them coming back each year. 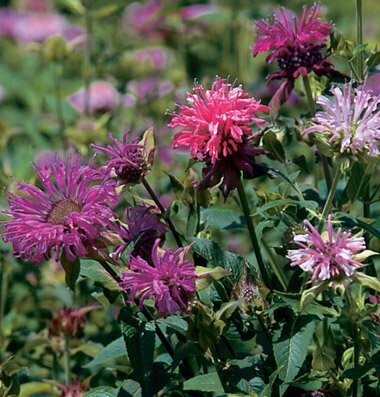 Bee Balm is a favorite of hummingbirds, with its round heads that feature brightly colored tubular flowers. These make great border flowers or lovely additions to wildflower gardens. Columbine flowers also work well, with their beautiful bell shaped flowers. These work well in any flower bed and each plant typically lives for a period of two to three years, but will self seed and usually continue to grow in the same location for many years. Hummingbirds love the bright colors of these flowers, which range from pastel shades to rich colors such as orange and purple. Though typically grown for their foliage, Hostas do bloom in the summer months with spiky flowers in shades of white or lavender. These flowers are attractive to hummingbirds and will draw them to your yard. 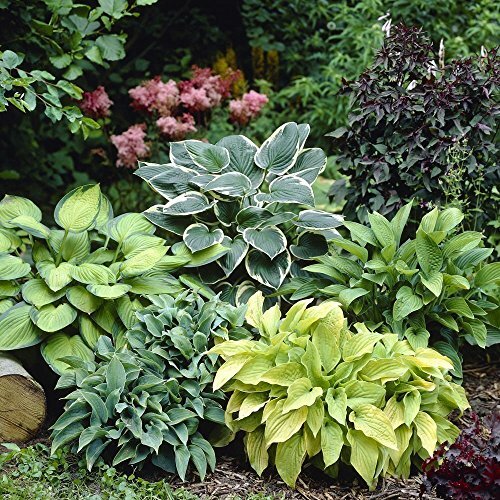 Hostas prefer a shady location and work well when planted close to the house on a shady side, or in other somewhat shady garden bed locations. Other perennial choices for your garden might include Canna, Coral Bells, Four O’Clocks, Little Cigar, Cardinal Flower, Foxglove, Lupine, Hummingbird Mint, Yucca, and Penstemon. 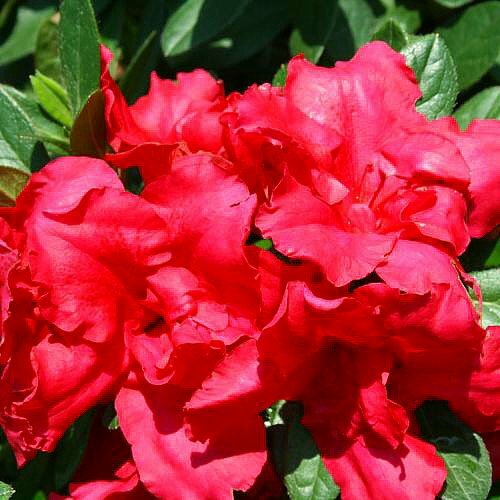 Azaleas burst with beautiful, colorful flowers in the spring that hummingbirds love. After the flowering period, these shrubs stay green for the rest of the growing season. Plant them in shady locations near the house, perhaps along the front of the home, or one on each corner of the front of the house. They also work well planted in other shady garden areas. 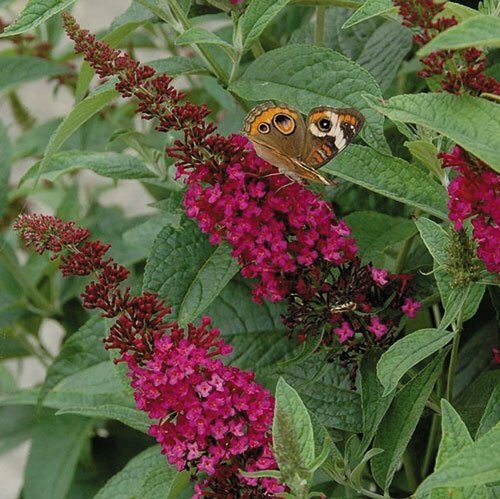 The Butterfly Bush not only attracts butterflies, but our friend the hummingbird as well. These shrubs are large and arching and will produce masses of beautiful flowers during the midsummer to fall period. Works well in borders and will grow to a height of five to ten feet tall. Sit back and enjoy as hummingbirds and butterflies alike come to drink the nectar from these lovely flowers. Other good tree and shrub choices include the Cape Honeysuckle, Flowering Quince, Mimosa, Lantana, Flame Acanthus, Manzanita, Red Buckeye, Tree Tobacco, Weigela, and Turk’s Cap. You can also hang feeders in your yard to attract hummingbirds. Mix one part sugar to four parts water and change solution at least once per week, twice during especially warm weather. Skip the red food coloring as it really makes no difference in drawing the birds in and might not be good for them. While feeders might be nice to place in an area where you can closely observe the birds feeding through a window, the best way to entice them into your yard is to plant a variety of nectar producing plants that they love. We live in a fairly new area so it will be years before the hummingbirds come back. Will have to see what plants will grow in our zone so I know what to plant. Hummingbirds remind me of my grandmother. I should plant some of these to honor her and bring those beautiful birds to my yard. I love hummingbirds and we do have a few plants that attract them. We put out a feeder, and it’s so relaxing to watch them come and eat! I didn’t know certain plants attracted hummingbirds. I will have to show this to son so he can pick a few to plant. My kids scream with glee whenever a hummingbird finds its way into our yard. I have a feeder, but these plants sound perfect for bringing more into our yard. Love this! We just started a garden earlier this summer and my kids have been asking about hummingbirds. Great tips to consider here! Thanks! Where do you live Louise? I’m sure there are hummer’s in your area. I would make a homemade feeder and see if any come before you spend money on plants or feeders. I have a few that visit my yard everyday. It is so much fun to watch. Good luck and I hope you get to enjoy them.